What's Going On With TTA? Hey you... yeah you! Do you know someone who needs to be a member of the Tarrant Transit Alliance? April is our membership month and we are hoping to DOUBLE OUR MEMBERSHIP by the end of this quarter (June 30th). To sweeten the deal, we are creating two separate raffles. One will be for existing members who refer a new member to join TTA and the other will be for new members. For every new member you get to join TTA before June 30th, you get one entry into the raffle. Tell me more about these amazing prizes. Ok but how do I get them to join? Remember to have the person write the name of the referring member on the application so you can get credit. TTA president Rachel Albright has decided to see what it might look like to ditch her car for the entire month of April to see how our current transit system fairs for a young professional who is car-reliant. She will be documenting her journey and regularly posting on the TTA Facebook page, as well as writing weekly reports in this newsletter. She is also calling on YOU to pledge to do the same... not for an entire month _ but maybe for a day, or a weekend... maybe a week for the brave! If you are willing to try the pledge, you can sign up by clicking on the link below. Trinity Metronomics is a monthly report covering a variety of Trinity Metro news and insights, including key performance indicators, goals and project highlights. Trinity Metro would like to know what you think of bus service in Fort Worth and Tarrant County. Whether you use Trinity Metro buses frequently, occasionally, or infrequently, your opinion is extremely important and will tell them how they can improve bus service and better meet your needs. City of Fort Worth – The downtown Fort Worth station that is the central hub of transportation for Trinity Metro buses and rail will now be known as Fort Worth Central Station. The Trinity Metro Board of Directors approved the name change during its March board meeting Monday. Long known as the Intermodal Transportation Center — and most often called ITC for simplicity — the downtown station is a stop along the TEXRail and Trinity Railway Express routes, and is a destination and transfer point for multiple Trinity Metro buses. Located at 1001 Jones St., the station is also home to Amtrak, Enterprise and Greyhound. “I’m Pretty Sure That I’m Losing Money at the End of the Day” - Two Uber and Lyft drivers explain why they went on strike. SLATE – Hundreds of Uber and Lyft drivers in Los Angeles, San Francisco, and San Diego demonstrated for higher pay and better working conditions. the drivers complain their wages have been cut and that they’re not making a living wage ahead of the IPOs. NBC5 – The Greater Cleveland RTA provides an annual economic impact of $322 million in Cuyahoga County alone and access to public transit can lead to increased property values, greater employment and decreased poverty, according to a new study released Tuesday from Cleveland State University’s Center for Economic Development. METRO MAGAZINE – With Congress looking to move an infrastructure bill forward this spring, the American Public Transportation Association (APTA) released new research identifying at least $232 billion in critical public transportation investments. The findings were unveiled as part of a report that was released for the first time at APTA’s annual legislative conference, shedding light on significant industry needs. SALUD AMERICA! 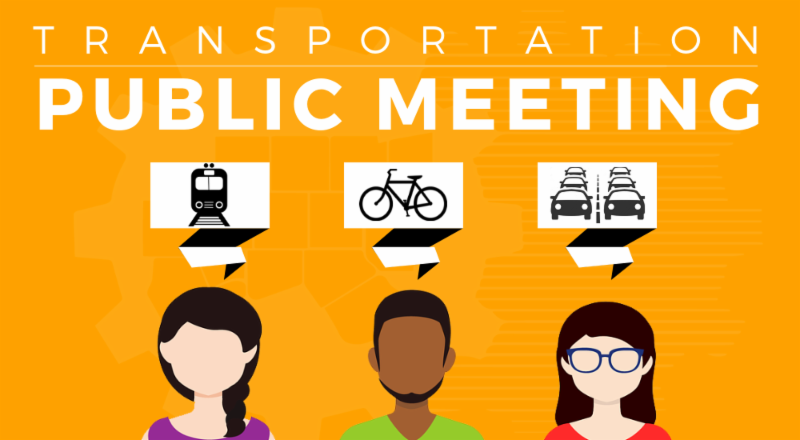 – Transit-rich, walkable communities strengthen the local economy, create opportunities for Latino and other vulnerable residents, and enhance community resilience. That’s why America Walks, a nonprofit organization, released four case studies sharing collaborative efforts to improve safety, walkability, and access to transit in four communities across the country. This is another effort in their Transit-Walkability Collaborative, which was established in 2017 by America Walks and eight other organizations. AMERICAN SOCIETY OF CIVIL ENGINEERS – Beset by long-term problems related to underinvestment and inadequate maintenance, the U.S. transit sector confronts challenges pertaining to funding, demographic changes, and an increasing array of new transportation services competing for customers. Despite these obstacles, the transit industry continues to evolve while seeking to provide the most practical, cost-effective solutions at the local level. T4AMERICA – Having thousands of jobs within a region doesn’t do much good if residents can’t use their local or regional transportation network to reach those jobs. A bill being reintroduced in Congress this week will provide transportation agencies with robust data to support smarter transportation planning that can better connect residents to jobs and services by all modes of travel. WORLD RESOURCES INSTITUTE'S TRANSFORMATIVE URBAN MOBILITY PROGRAM – Many cities have realized they cannot build themselves out of traffic jams by adding new roads and parking lots. An alternative is managing the demand for urban trips (called travel demand management). An interesting subset of demand management is to require companies to devise flexible ways to change how their employees commute. WORLD RESOURCES INSTITUTE'S TRANSFORMATIVE URBAN MOBILITY PROGRAM – This guide describes how a government authority can prepare a Trip Reduction Ordinance. It also describes the elements of a Workplace Travel Plan to meet the requirements of a Trip Reduction Ordinance. We keep a collection of Interesting Articles and Cool Tools on our website.